You can have an ideal bedside companion with this nightstand. The piece carries decorative carving, inlay veneers and ball and claw feet, which come to be perfectly suited for any room environment. 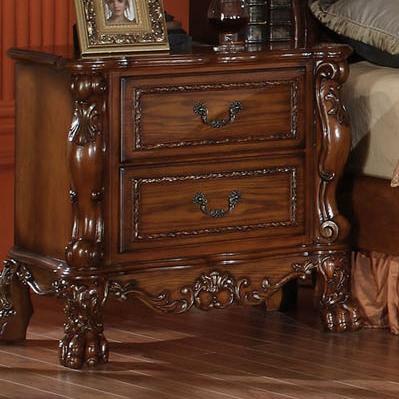 Let your bedroom sing with traditional style with help from this gorgeous night stand. The Dresden Night Stand w/ 2 Drawers by Acme Furniture at Furniture Superstore - NM in the Albuquerque, Los Ranchos De Albuquerque, Rio Rancho, Santa Fe, Corrales, NM area. Product availability may vary. Contact us for the most current availability on this product. Drawer / Shelf Construction French dovetails in front and back of drawer create durability and longevity. With the Dresden collection. you can bring traditional style to every room in your home. 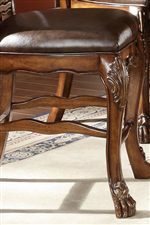 The living, dining and bedroom pieces carry a warm cherry finish and feature has decorative carving, inlay veneers and ball and claw feet perfectly suited for any room environment. You'll be set with the Dresden collection in your home. 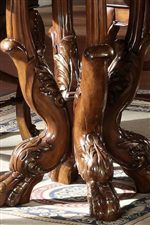 The Dresden collection is a great option if you are looking for Traditional furniture in the Albuquerque, Los Ranchos De Albuquerque, Rio Rancho, Santa Fe, Corrales, NM area. Browse other items in the Dresden collection from Furniture Superstore - NM in the Albuquerque, Los Ranchos De Albuquerque, Rio Rancho, Santa Fe, Corrales, NM area.